This 2 Spray Gun Set includes 2 lightweight gravity feed HVLP spray guns with adjustable spray patterns and two stage triggers. 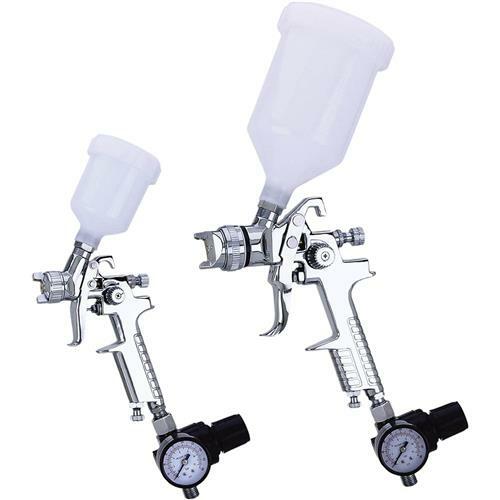 Pressure gauges and regulators control air pressure right at the gun. Plastic cups for easy material level viewing. Small Gun - Low to medium solids (lacquers, epoxies, stains).